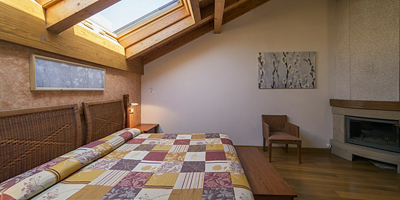 Rooms of the Hotel Casa Azcona in Zizur Mayor - Official Website. 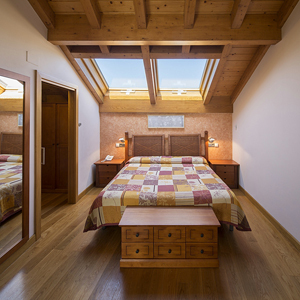 The 21 rooms of the Hotel Casa Azcona benefit from plenty of natural light, featuring bright spaces that are fully equipped to cover any need. The cozy decoration in warm colours and the hardwood floors help to create the perfect ambiance to relax and unwind. 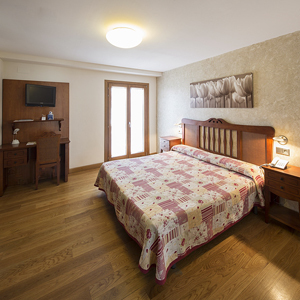 Given the location of the hotel, you will also enjoy the quietness of our rooms, so your rest is assured.